The institutional purpose of the new centre will be to preserve the essence of the Islamic faith by empowering Muslims to achieve their full potential in spiritual, educational, physical, socio-economic and cultural aspirations. It will act as an interchange, aiming to inspire all Muslims to play a positive and pivotal role in the wider community. The proposal is to construct a self-sufficient, purpose-built Community Centre and Masjid over the ground and four upper floors totalling approximately 53,000sq.ft or 4,926 sq.m. A detailed sustainability assessment was commissioned to ensure the financial and strategic viability of the new project. The planned redevelopment incorporates a number of existing and future income-generating services. On the 13th February 2013 under planning reference number PP/2012/3271 planning consent was granted for the new building. 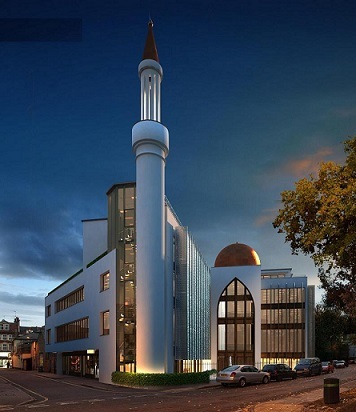 This will create one of the largest Islamic Centres in the UK and London, with the capacity to accommodate over 3,000 people. The Centre will offer enhanced services plus much-needed additional community provisions. 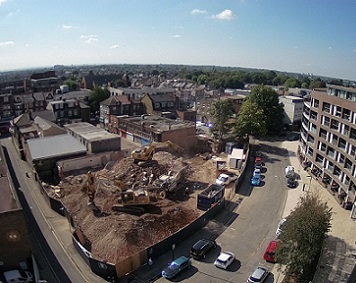 Demolition of the existing building commenced on the 6th August 2017. The Phase One project cost is £8.3 million, the first stage is to construct the concrete frame and a temporary Masjid on the ground floor, so the community can return to the site, this stage will cost £4.8 million and is expected to be finished by May 2018, subject to cash-flow. Having taken detailed planning advice, it is very likely that WLIC will be able to construct a further four floors on top of the newly completed facility. Plans have been drawn and this shows a realistic potential of 24 residential apartments. The foundations, structure and services have been upgraded as part of the Phase 1 construction works, which will allow a cost-effective delivery of Phase 2. This project will form a future phase of the WLIC development and sustainability plans. These apartments are expected to generate an income of circa £320,000 per annum (to be confirmed and based on final consented scheme). These funds will seal the financial future of WLIC and the community it serves. It will also establish a model other Mosques may be able to replicate. Having raised £3 million, the Centre closes its doors and demolition of the existing building begins in August 2017. The project total is £8.3 million. WLIC launches the £1000 Mussalah appeal. £2.19 million will be needed to finish the remaining floors and complete Stage 3 of the project by 2019.